100% scholarships for Indian students!!?? Just like the recipe for the perfect cup of coffee or Coca Cola itself, this one is hard to pin down in terms of the exact formula. However, we do know the ingredients, and we also do know approximate proportions of which ingredients matter the most. Very importantly, each of them also matters according to who’s tasting the dish and what they usually have. For example, a top school might regularly be getting a slew of top GMAT scorers, so just having a high GMAT score may not be enough to win a scholarship at a top MBA program. Diversity in your profile, solid work achievements, and a slew of skills that make schools look at you as a star applicant are very important. We have spoken about many of these here, so we won’t get into them again. This article is more about 100% scholarships, not just scholarships. What is a 100% scholarship? Is it an award? A concession? The first thing to understand about 100% scholarship, and scholarships in general, is that none of them is actually an ‘award’ of money. The B-school does not send out any cheques. Instead, the amount is deducted from the tuition fees payable. Ultimately, it’s the same as getting some money and using that to pay part of the tuition fee. Another aspect to understand is that even 100% scholarships do not mean that you get into the MBA ‘free’. For example, the Kenan-Flagler MBA website lists that its cost of attendance over and above its tuition fee is around $24,000 per year. Similarly, Cornell clearly lists how students will incur costs of around $25,000 over and above tuition in one year. 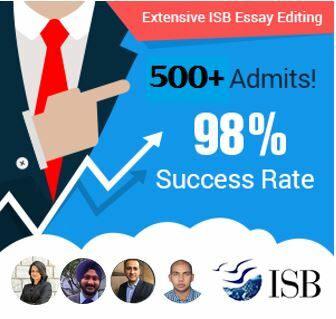 For two year programs, therefore, even those applicants who get 100% scholarships need to budget around $50,000-$60,000 for other expenses (around INR 38 lakhs on current exchange rates). That is still a HUGE saving in cost, considering the cost of the full-time programs without scholarships can work out to well over $170,000 (INR 1 Cr+). What factors go into the award of a 100% scholarship? To put it into one phrase, your profile parameters need to be significantly above the average parameters of admitted students at the school. Yes, that means not just a great GMAT or great academics or fantastic work experience, but ALL of them. Many Indian students feel that with so many Indians applying to top B-schools, the chances of them winning scholarships are low. While it is true that Indians might not score as many points on just the diversity factor on this count, that is NOT the only factor that counts. Plenty of other factors also weigh into the decision, and if those are balanced and positioned well, success is certainly achievable. For a 100% scholarship, you must be stellar across multiple parameters. Just like Rajan Seth. Rajan’s story – 100% scholarship from Kenan-Flagler! Rajan Seth is a top performer in every sense of the word. He is a graduate from IIT Bombay, has been a volunteer for Teach for India, has a 770 GMAT score, and has solid work experience in the Finance industry. As one would guess, Rajan was in no dearth of good career opportunities in his current role with a well-known financial major in Singapore. He had worked for big names such as JPMC and Credit Suisse, and his current role also gave him good growth and learning opportunities. When he decided to apply, therefore, Rajan wanted to apply only to the best schools. He had a strong geographical preference – he wished to apply only to schools in the North Carolina region as he had family there. This meant that two names immediately came to mind – Fuqua (Duke) and Kenan-Flagler (UNC). He says he chose GyanOne on the recommendation of a friend, and was sure of his decision after he went through our testimonials. We worked on Fuqua first, and then Kenan-Flagler (for the December deadline). 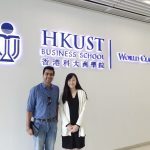 One of the key things that Rajan later highlighted about our engagement was that it really helped him to understand the landscape and how an MBA could help him in his career. “This was more than just MBA Admissions Consulting”, he later said. “You helped me really understand the opportunities possible, and how the program could help me. I think one of the things that I really liked was that by the time I submitted my application, I knew that I was submitting a great application, but I also knew exactly what I could use my experience at B-school for. This was an additional element of clarity on my career goals.” Rajan worked with a GyanOne consultant who is a US top-5 B-school graduate and has extensive experience in working with finance professionals. Rajan worked with us intensely, discussing his career goals, how he felt an MBA could help, what he planned to do, and how Kenan-Flagler could help him to do it. The work was his own, but he felt that GyanOne really helped him to test his assumptions, understand what he could accomplish and could not, and create a very realistic path ahead for himself. “This was me, but it was the best of me”, he said about his application. 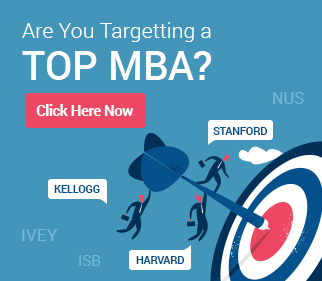 Applying to a top MBA program? GyanOne has deep experience and expertise in helping applicants apply successfully to top MBA programs and attain substantial scholarships. Contact us today to know more and engage with us. In Rajan’s case, what are the things that counted? Not just his GMAT score and his work experience, but also the fact that his understanding and his work with us allowed to make an outstanding connect with the school. “I think it’s very important to know the school and really understand why one is applying to it before one applies. I remember that when I thought about my long-term goal, I knew what I wanted to do, but you (GyanOne) really pushed me to really explore it and define it well. We took three revisions of just that, but you made me turn out excellent stuff”. GyanOne helped Rajan to highlight the best elements of his profile, but we went beyond even that. We helped him explore and understand the key areas he had contributed to that he did not consider outstanding achievements at first. This is common – high impact applicants sometimes tend to view themselves only in terms of their numbers-centric achievements, often pushing to the background more important elements that could help their profile come alive. Rajan worked with GyanOne on his Kenan-Flagler application and then also on his interview preparation. The conclusion of the story had jubilation when Rajan secured not just admission to Kenan-Flagler, but also got a full-ride: 100% scholarship! The icing on the cake, though, was that he also won the rare Dean Fellowship at Kenan (given to just 10% of accepted applicants!). Along with these sweet surprises was also a shock in store for us – Rajan, who had worked with us on his complete Fuqua application, did not submit it! He hid that fact from us for three long months, only coming out at the end to say that after working on the complete application and understanding the school, he felt it was not the school for him. We welcome that – an awareness of each school’s offerings and culture is extremely important. If the end of the process yields a result wherein an applicant realizes that a school is not a fit, so be it. That certainly means we explored the school, and all its offerings, well in the application process.